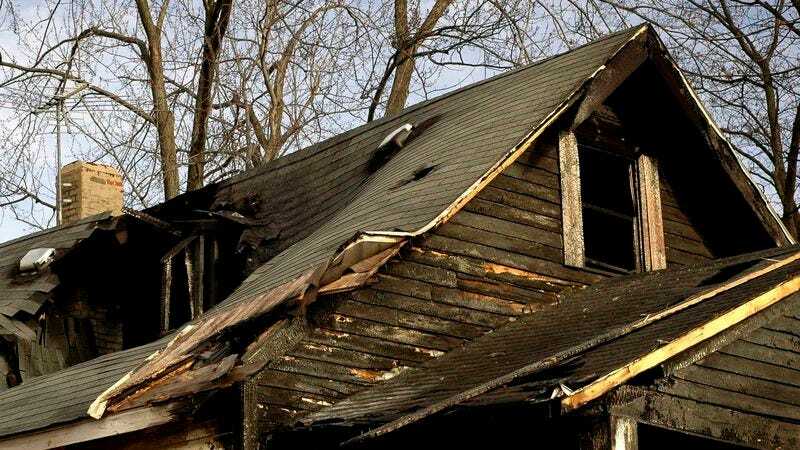 VERONA, WI—Despite his best efforts to conceal the damage, area teen Kyle Towser confirmed Wednesday that his parents could clearly tell he had a huge house fire while they were away for the weekend. “I tried to cover it up before they came home by throwing blankets over the worst scorches on the floor and couches, but they could definitely smell smoke on me as soon as they came through the door,” said Towser, adding that what began as a small house fire soon got completely out of control and kept on going until well after 4 a.m. “I mean, of course they were going to find out: The den, kitchen, and master bedroom are totally destroyed. Plus, the neighbors complained when it really started raging.” Towser went on to say that his parents were surprisingly understanding since they had house fires when they were kids, too.